Summary: “auf der suche nach / looking for / wonderland” is a photobook. A narration. A DVD. About a journey through America traveled in 2011, starting in Seattle leading to New York City across many miles of American daily life, through big cities and reservations, a desert and hurricane Irene. What started as the continuation of a long-term project about the concept of “home” as an emotional place lead to a personal book and video about America. 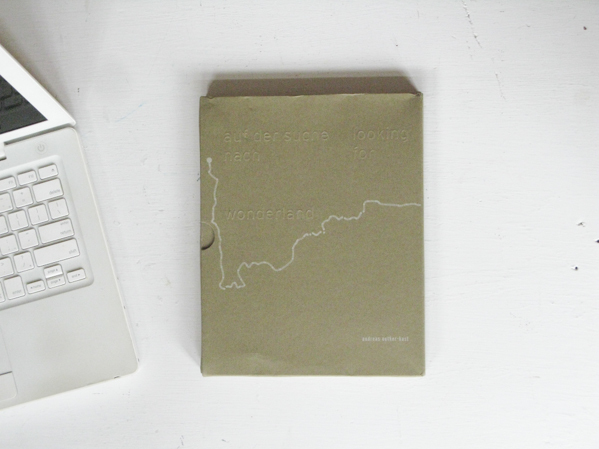 looking for wonderland is a self-publishing project under the imprint bt:st verlag, which was founded by the photographer and his wife in 2012 to provide a new home for his works. Published on January 27, 2014 10:46 am.